With so many great standalone journaling apps out there, some might ask why anybody would want to approach journaling with the big elephant of note databases, Evernote. 1. Keep a Journal Notebook inside Evernote. Simply keep a “Journal” notebook inside Evernote (perhaps with a template set out with the forms or details you want to capture). Either keep daily journal notes, or append to a weekly or monthly note. (This can be automated via apps like Drafts and actions also. See below). If you use one of the Evernote template service options such as Kustomnote, you will find many shared templates for diary type entries. Kustomnote provides a webapp and mobile apps for both creating templates and sending through notes using those templates to Evernote. Or create your own template. I simply copy and paste a copy of most templates I use. 2. Backup and Store your Paper-Based (Old School?) Journals, Notebooks and Diaries. There are plenty of people – me included, who still maintain real journal books. I like to doodle and scrawl out all kinds of notes, and like many writers and artists, have an [unhealthy] obsession with moleskines. But rather than dedicating a library room to keeping all those old notebooks and journals, Evernote can digitise and preserve them forever. This is an excuse to go through and reread your paper journals, to find the entries you really want to preserve. It’s also a call to ditch (burn?, destroy the evidence?) some of those old notebooks too. Scan in via a scanner or use Evernote’s mobile image functions (document, or even the square post-its note, or the moleskine journal photo entry modes). Save as a new note with image. Evernote uses optical recognition across images. Once OCR has run, Evernote search will (dependent on the legibility of your handwriting) find important search terms and therefore the note you’re after. Help Evernote along a bit, by inputting a few additional tags or keywords and dates in the note. 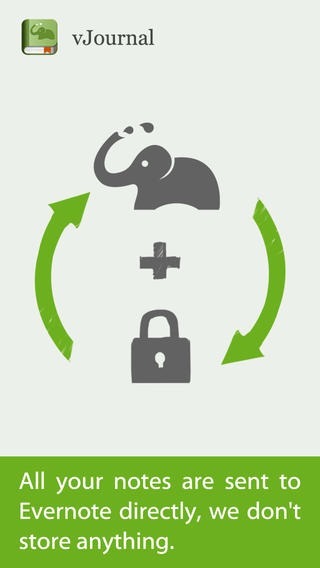 There are more and more applications designed with Evernote integration, including some dedicated journaling apps which use Evernote for storage, syncing or backup. Consult the Evernote App Center to find even more. Some of these apps are so functionally quick, that it actually beats opening up the Evernote app itself (which can be still a little clunky and slow for some) to create a new diary note. They actually make maintaining a regular journal fun and fast – and mobile. 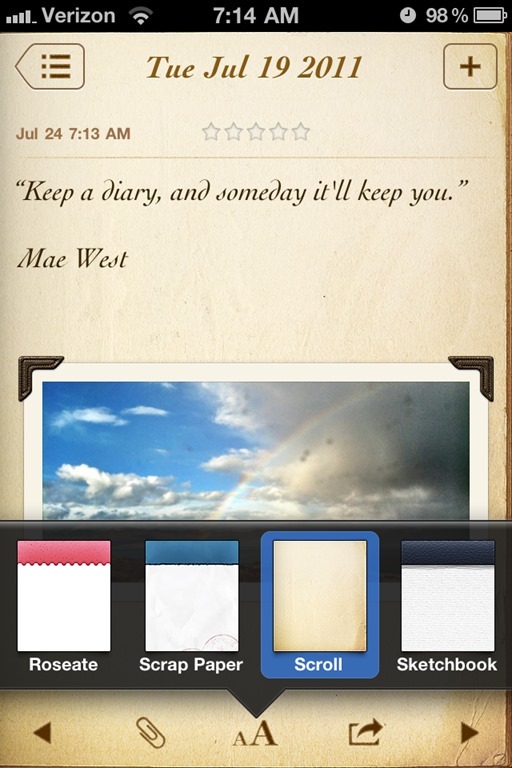 Following is my list of the best apps for journaling through to Evernote. Drafts by Agile Tortoise, provides a very simple launch-and-start-typing app for iOS. Where it comes in very handy for journaling into Evernote is with the inbuilt Evernote actions. Basically you can type out a quick entry into a Drafts note, then hit the action button you’ve setup and send the entry to a specific notebook and note already in Evernote and append the entry – with date and time – onto that note. I profiled Drafts fully in the D post for this series. Here’s the link. In my post: My ** Markdown** Workflows for Scrivener, Blogging and Evernote I wrote about Drafts and these actions, and how I use actions to prepend story ideas for writing projects into an Evernote note. For a how-to on this, Jamie Todd Rubin recently posted about using the Drafts app and Evernote with how-to screenshots on setting up the actions. Discussed on the #26Tech Journaling Apps post, EveryDay Timeline is not only a wonderful standalone journaling app for Android and iOS, but it can send journal entries to Evernote. Wonderful Days by HandyPadSoft is a feature rich journaling app for the iPhone, supporting images, text, weather and mood icons, with Evernote backup and sync for your journal. For personalisation, the app provides 12 fonts, 12 themes and 8 image frames. Export of data is the typical airprint but also a PDF export. vJournal for Evernote by Voyager Apps is a very simple notetaker designed to create and sync entries through to Evernote in a Journal notebook created by the app. 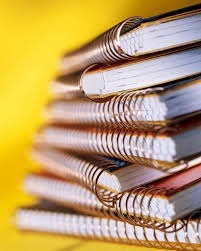 You will find a “My Journal” notebook stack within Evernote, with sub-notebooks with year titles. It’s a simple open and start typing app, with is a free lite version to try out. 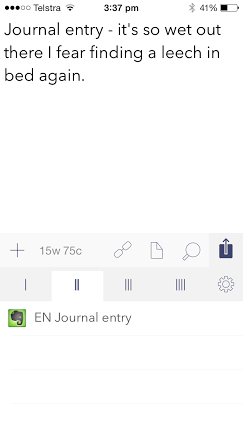 The only issue with Journal for Evernote is that you can only create a diary entry for today – if you’ve missed a past date you can not input historical – or future – notes. 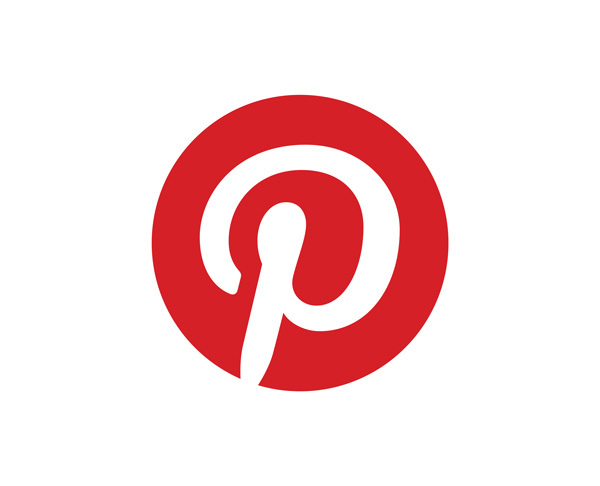 PostEver is a popular Evernote note-taking app for iPhone, iPad and Android mobile devices. The notes are combined into one Evernote notebook (which you can specify) and can even be appended onto the same note over the day. The notes are automated with date and timestamp, making the app obviously useful as a diary app. For the iOS apps, there is a fully functioning 14 day lite trial version. EverLog supports multiple media notes including notes, drawings, location maps and audio inputs. It has an interesting feature of allowing you to create templates with various arrangements of note inputs and Evernote notebooks these notes should be synced into. There is a free trial version available. 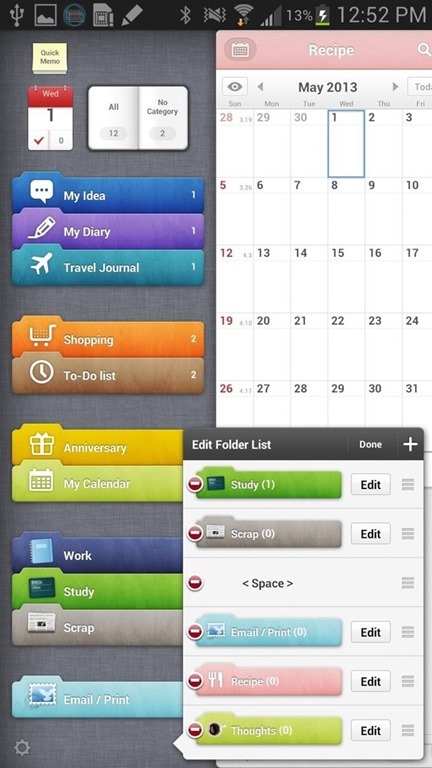 Awesome Note is a popular all-in-one organiser app, containing not only diary features but a calendar, scheduler, to do list and note-taker, drawing functions and themes. You can keep multiple types of notes organised through folders in-app. 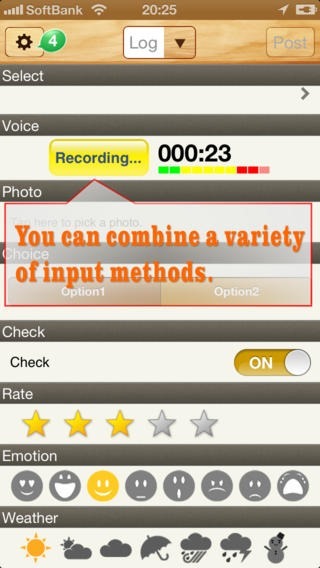 The app also syncs with Google or Evernote and backs up via iTunes file sharing. #Evernote4Writers: This post formed part of an ongoing series to blog a book, “Evernote for Writers”. 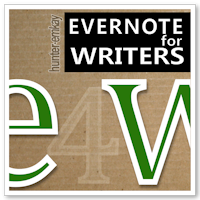 The posts from this series, offering a guide to using Evernote as a writer, can be found under the tag: E4W, #Evernote4Writers,or #E4W. An index will be provided from the top menu. 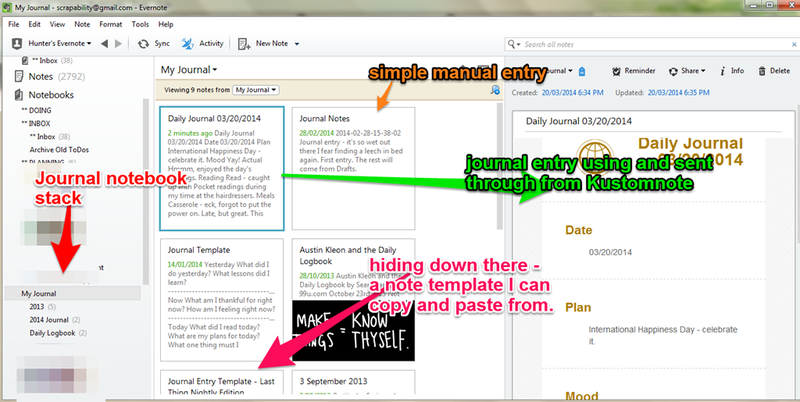 #26Tech: This post was a supplement to today’s #26Tech post entitled Journaling Apps. You will find the other posts under tag: #26Tech or an index post will be provided on May 1st.